New Zealand will shutter seven of its Thoroughbred racing venues for good, including one track that's been racing for more than a century. Three tracks on the North Island and four on the South Island will shut their doors due to the financial instability of the country's racing industry. 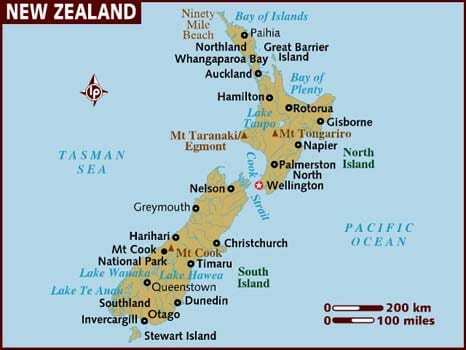 “We've realized that there are 48 race tracks in New Zealand and we haven't got the financial resources to put in and maintain 48 venues for customer facilities, for race track facilities,” said New Zealand Thoroughbred Racing chief executive Bernard Saundry. The tracks that are closing: Dargaville, Stratford and Thames on the North Island and on the South Island, Hokitika, the track with more than a century of history, plus Winton, Wyndham and Waimate. “We're absolutely shattered, we cannot believe the stupidity and the lack of consideration for what West Coast racing is all about,” Westland Racing Club President Gray Eatwell told Newshub. Racing consultant John Messara has proposed shutting down 27 New Zealand tracks in total. This entry was posted in The Biz and tagged international horse racing, International Racing, new zealand horse racing, new zealand racing, racetrack closures, track closures by Paulick Report Staff. Bookmark the permalink.